Hi guys! Just stopping in to share a couple of cards I made with the summer Avery Elle release! 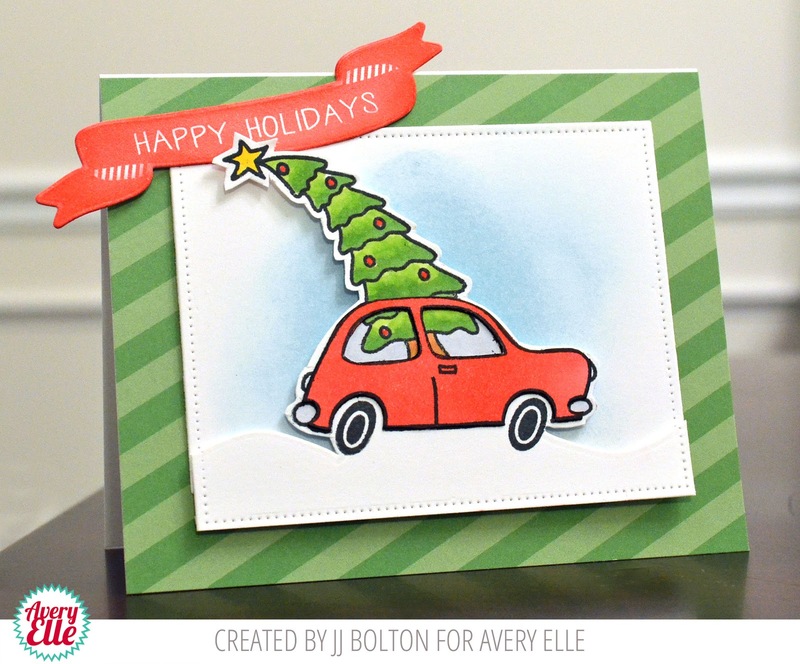 Let's start off with a holiday card using the Dashing stamp set. Isn't that little car cute? The car has been stamped and partially fussy cut. By that I mean, I only fussy cut around the top of the car, and then used the wavy die from the Custom Panels set to create the snowy road. I layered the fussy cut piece over another panel to get that 3D look. I added a little blended ink behind the car to really make it stand out. My next technique, I'll call "no outline die cutting". The banner on this card was created with a stamp and coordinating die. The banner die cuts a thin outline around the banner stamp. I wanted full color coverage on the banner, so I used a small sponge blender to blend the red ink around the edge of the banner to cover up the white. It really changes the look, doesn't it? Now on to my next card which uses the adorable set Pick N Mix which was designed by Caryn Davies! This set is all kinds of cute!!! I used the stamps from this set along with the Sweet Scallops dies to create a shaker card. 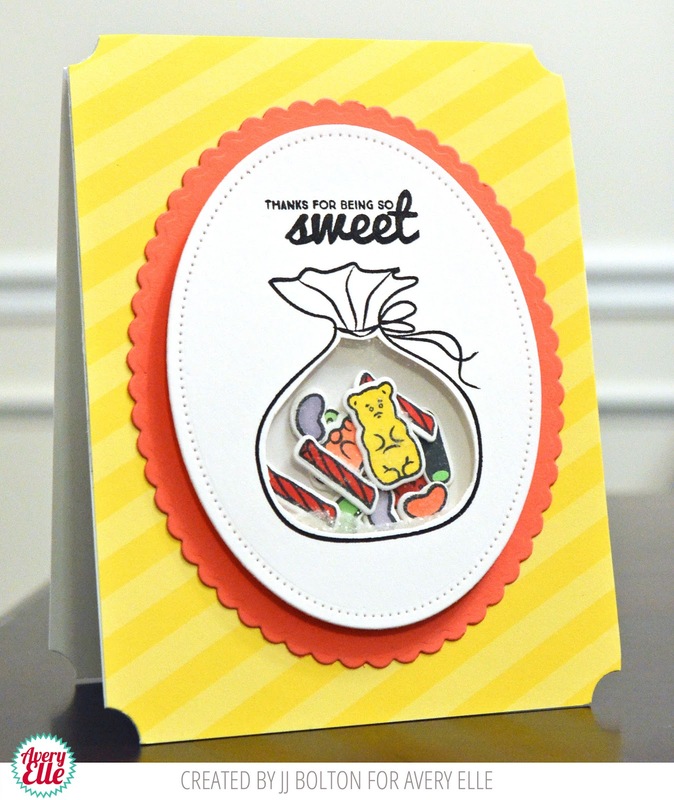 (I still love shakers:) First, I stamped, colored, and die cut a variety of candy pieces. 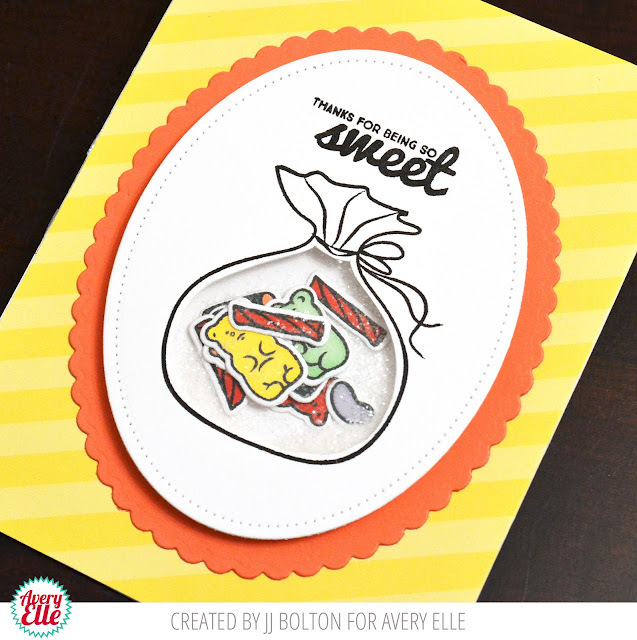 Then, I stamped the candy bag onto a die cut oval and used a craft knife to cut out just the inside of the bag. Love your cards, JJ. I'm so glad I ordered the Dashing. TFS. Two really cute cards, JJ! 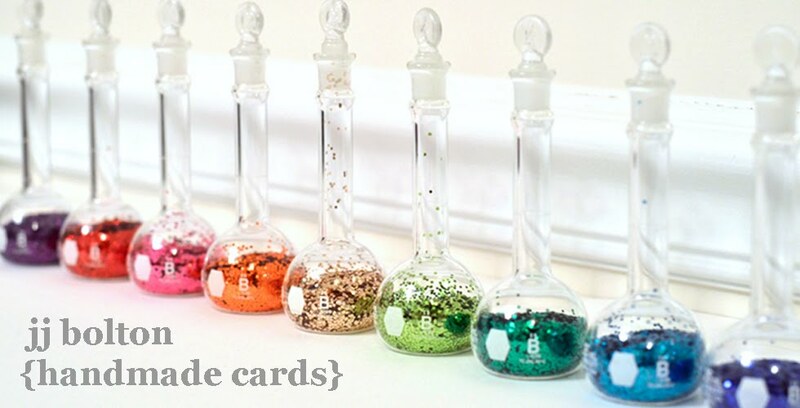 I love how you placed the tree on the first one and how you added images and coarse glitter to your shaker card...so FUN! Thanks so much for always inspiring us!